Kevin Stanley was born in the Eastern Cape, South Africa in 1954, into a family of artists and musicians. 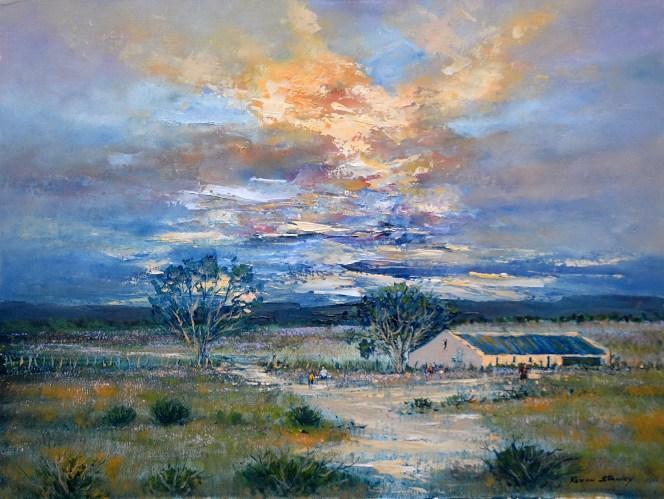 Kevin has traveled the length and breadth of South Africa gathering ideas for his oil paintings of South African scenes. He studied African Art in Johannesburg and then started dealing in art. He has opened galleries in South Africa and in Guernsey. He started painting in 1981. Kevin is a self taught professional artist. He has developed a style of painting large landscapes and seascapes in oil with magnificently dramatic skies.